Two of the greatest NFL quarterbacks to play the game, Aaron Rodgers of the Green Bay Packers and Drew Brees of the New Orleans Saints, went toe to toe in the opening season of Thursday night’s 2011 season-opener. BALTIMORE, MD – Cal Ripken Jr, the former Baltimore Orioles Hall of Famer, recently made headlines when he said he had an “itch” to return to the game. This lead to speculation that Ripken might be interested in joining the team’s management in some capacity. Cal Ripken, Jr. is a popular speaker says PFP Sports and Celebrity Talent Agency. 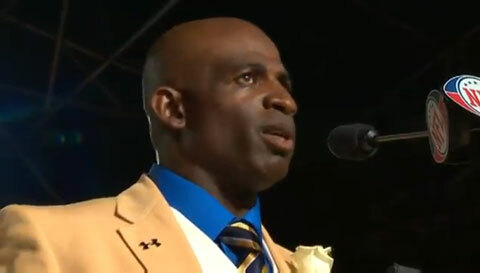 CANTON, OH – Deion Sanders delivered an emotional speech after his induction into the Pro Football Hall of Fame on Saturday night, August 6 in Canton, Ohio. After 19 seasons in the NBA, Shaquille O’Neal announced via Twitter that he is retiring. 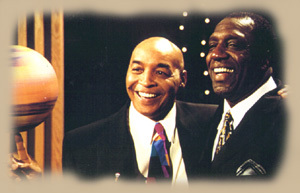 O’Neal won three NBA titles with the Los Angeles Lakers and one with the Miami Heat. He also played for the Phoenix Suns, Cleveland Cavaliers and Boston Celtics. Published by PFP Sports and Celebrity Talent Agency, a speakers bureau and top booking agent for sports speakers, basketball speakers, athlete appearances, endorsement deals and celebrity bookings. For more information call 1.800.966.1380.